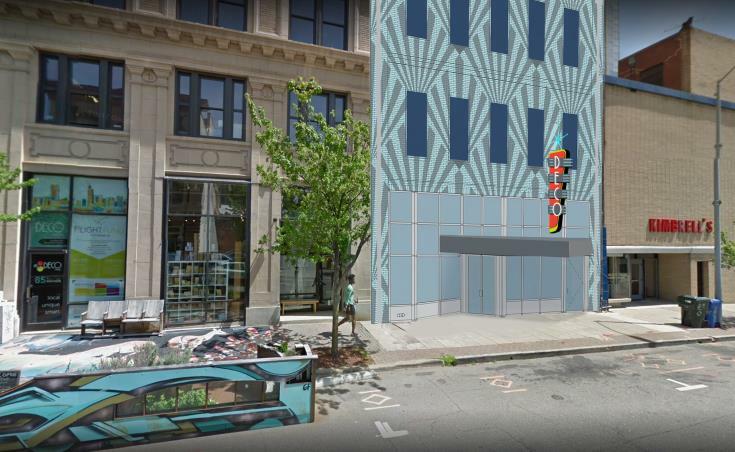 Here’s a pretty cool project that popped up on the city’s development site. 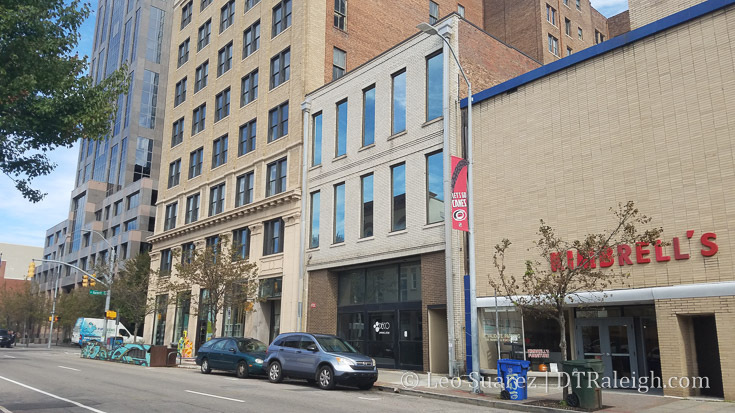 SR-103-17 gives us hints at what is planned for the building at 107 West Hargett, the current location of Father and Son. 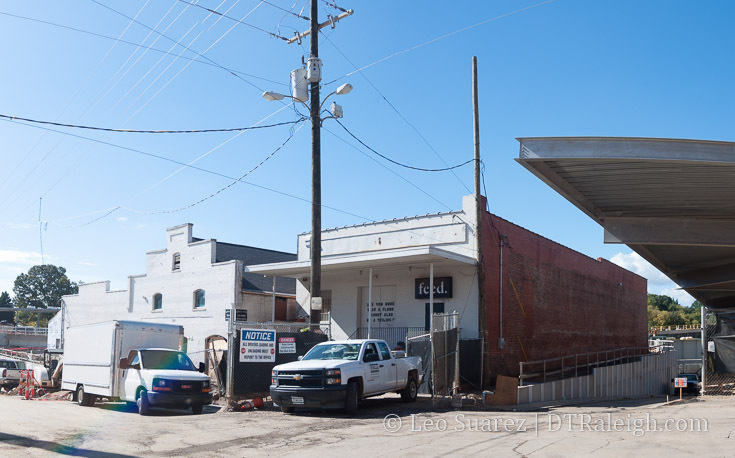 The shop will be moving over to the warehouse district in the near future but until then plans for additional floors and renovations to the current building are underway. Currently, the property at 107 West Hargett has a single floor from “front to back” with a second and third floor on the front half facing Hargett. There’s also a basement in there but the plans do not indicate anything about it right now. Here’s a Google Maps “aerial” of the building. Clearscapes is the architect behind this project and they want to renovate the three-story building while adding five stories in the back. The fourth and fifth floors will actually go over the front older section and face the street with balconies. See the rendering below. If that’s not quite clear, here is a shot of the back of the Father and Son building. 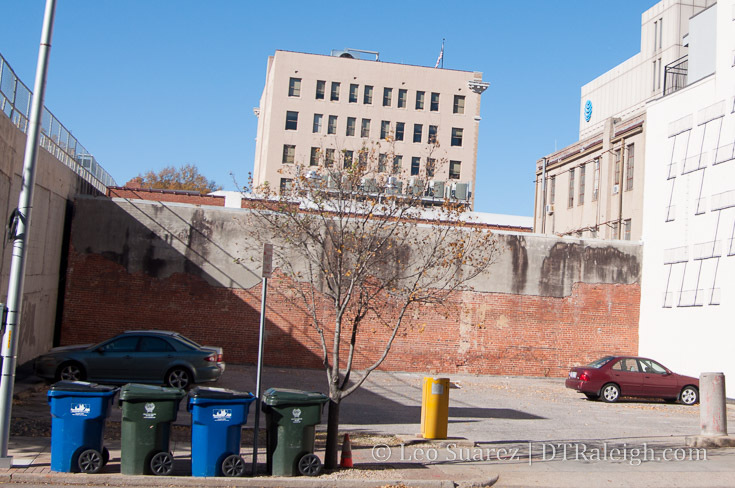 You can see the one-story rear and floors 2 and 3 of the “front” half as seen through this surface parking lot along Salisbury Street. 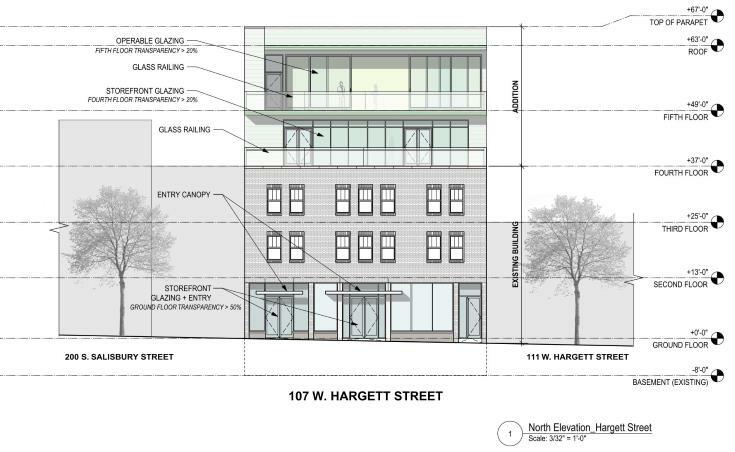 The site plan suggests that offices will be used in the upper floors with a restaurant on the ground-floor. Maybe that basement can be put to use also for more restaurant or bar space too. 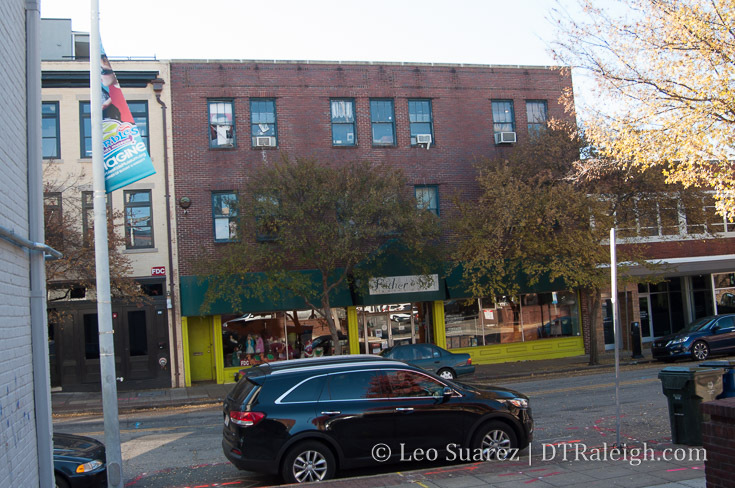 This sounds like a great project that maintains a little character in downtown while also adding space for more uses.